This seductive piece transcends traditional and modern boundaries. 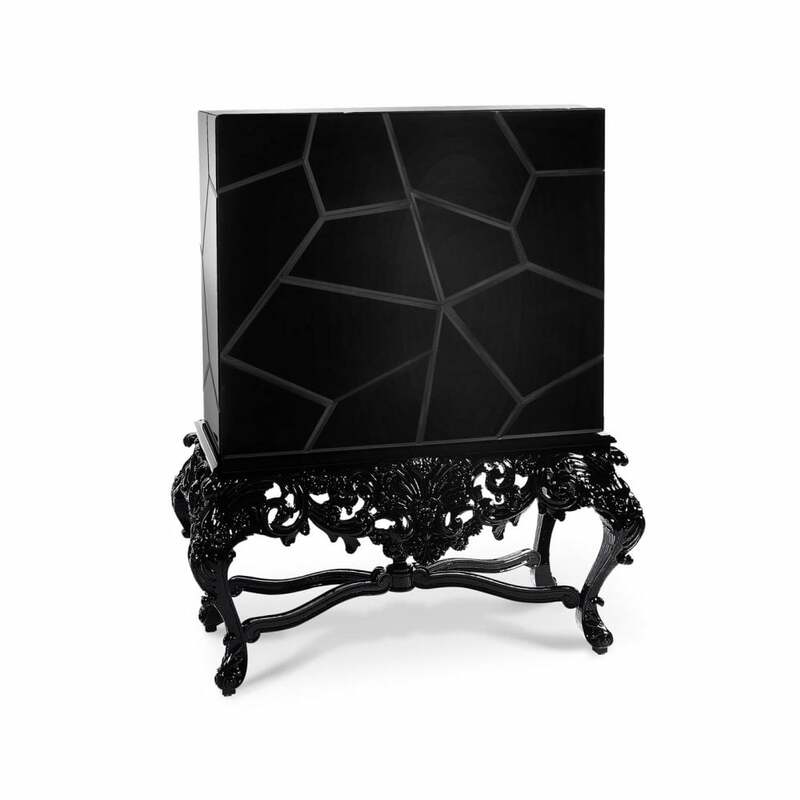 A luxurious cabinet covered in black glass, which is cut and bevelled giving a fractured appearance. The base is hand carved from mahogany in a true baroque style. With a delicate touch on the two doors (tap touch) they open to a vibrant yellow translucent finish over a natural wood housing five drawers and a single smoked glass shelf. Inside there is a single smoked glass shelf above two rows of drawers (five total) finished in black leather, lacquer and bevelled glass with handcrafted brass hardware finished in black lacquer.